As many as 14 people registered their names for the programme. Participants in 'Feel The Jail' programme. Sangareddy: The ‘Feel the Jail’ programme, which was introduced by the Director of Prisons and Correctional Services, Telangana, at Heritage Jail Museum in Sangareddy, received an overwhelming response in July with a record number of people coming forward to spend a day in the prison. Since the launch of the most exciting programme ever introduced by the Prisons Department in July 2016, it received 15 people to spend 24 hours by paying Rs 500 till July 1 this year. This month, as many as 14 people registered their names for the programme. Six of them have successfully spent a day in the jail, while eight others will be coming this week. Stating that they did not get the desired response initially, jail authorities said that people were a bit hesitant to try out the programme even though they were excited over the iniative. 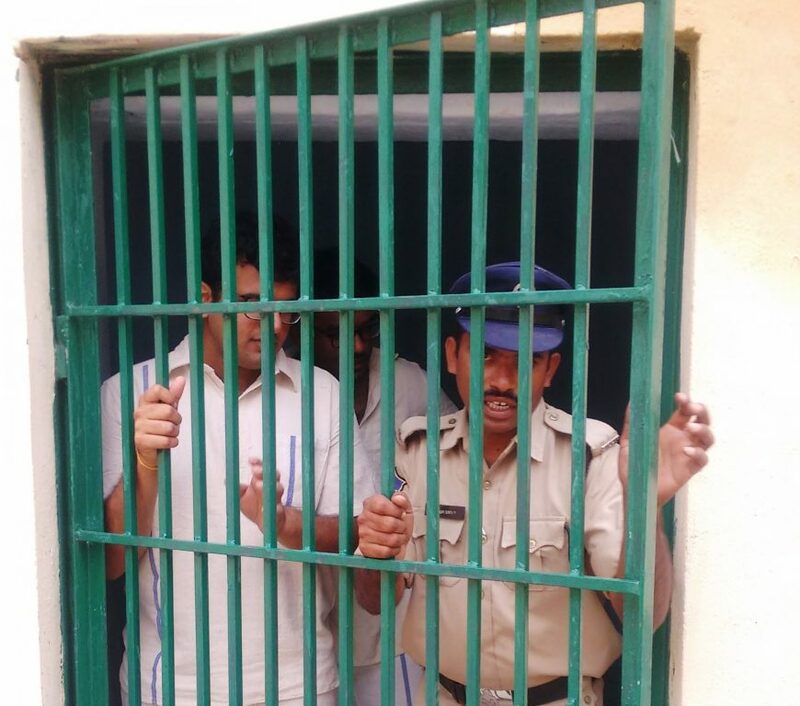 A team of five people came to Sangareddy jail on Saturday morning from Visakhapatnam. During the day, they took part in gardening on the premises of old Sangareddy district jail on Saturday which was transformed into a heritage jail museum. Jail authorities deputed a couple of women prison wardens from Sangareddy district jail, Kandi, to look after two women.